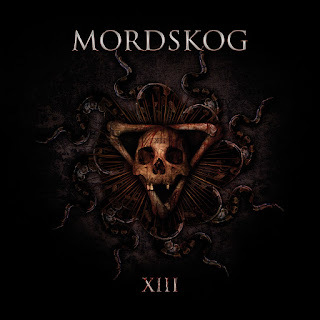 Let’s talk about a Mexican Black metal band Mordskog, they are from Mexico city, they were formed in 2003, early this year they brought to us their second full length called “XIII”. 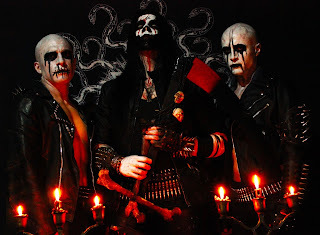 The sound of their music is obscure and blaspheme, which reminds me quite a lot the style of the early nineties Black metal scene, raw evil, negative, pure, corrosive and true, but clear at the same time and incorporating an excellent drum sound. 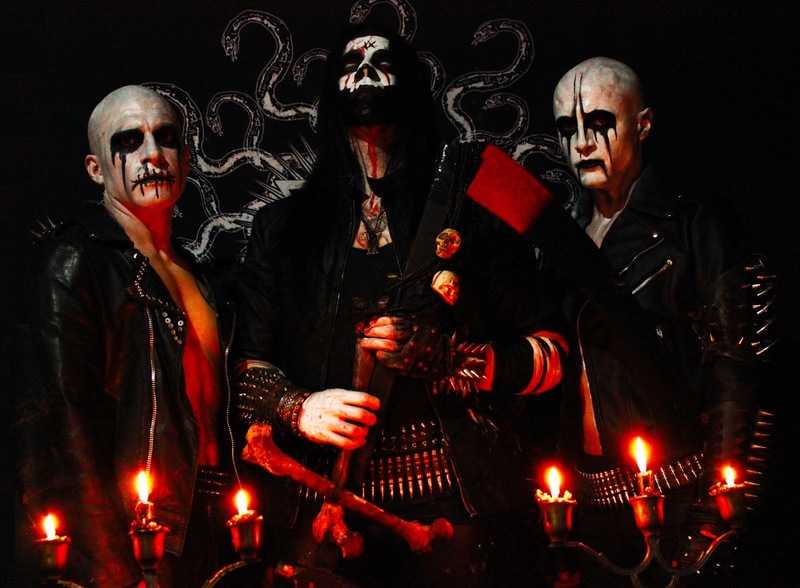 With a classic sound, without the need for so much technique or complicated riffs, they were able to create a feeling of hatred and evil… as how Black metal should be like. The vocals sound tearing and raw with a solid conviction to transmit all the hatred expressed in the lyrics. You need to get prepare to listen this raw Black metal band, if you are expecting to listen something melodic within Mordskog sound, then you might be disappointed. This sick sound was created with dissonance, putrefaction and darkness… Suitable for followers of the early works of bands like Darkthorne, Craft, Krieg, Pest (Swe) and some others alike to the true Black metal sound. “Lautum Novedialem” which is the title for the first track, starts with an arpeggio that has an eerie melancholy within, then you might think you’re about to listen another DSBM band, but no! You are wrong, it’s followed by a sick and dissonant riff that makes you delve into the immense evilness of the first track. The second track titled “Nascentes Morimur” takes you into an atmosphere full of darkness and evil falling in the classic structure of the nineties Black metal sound, with a very rhythmic riff at the beginning, followed by a dark and dissonant riff, this song takes you little by little into a feeling of hatred and desolation, only three riffs are just enough to make this track an unforgettable piece of raw Black metal. “Aequo Pulsat Pede” the third song, speak by itself, what else I could possible say? This is a sick and blaspheme track it reminds me the early works of Pest (Swe), the true connoisseurs of Black metal will know what I mean doing such comparison. “Pulvis Et Umbra” is the sickest track on this album, the drum work begins with an unconditional beat in its structure with a remarked influence of Mayhem in the riffing, something difficult to digest at first, but once you find the meaning, this rarity becomes mysteriously sublime and makes you play it over and over. “Mors Est Vitae Essentia” is the next track, this piece of darkness is the most rhythmic song, with riffs to make you bang your head from beginning to end. The sixth anthem “Ad Me Venite Mortui” is a piece of blasphemous Black metal with a classic style of riffing and beats adding vomiting and tearing vocals as a complement to this evocation, the acoustic end comes unpredictable. “C.A.M” is the name of the seventh track, I do not know the meaning of these acronyms… the only thing I know! Is the words I will use to describe this song; A Deathcult Invocation!!! Which drag you to the next psalm titled “Mors Vincit Omnia” is another crude Black metal piece, rhythmic, blasphemous and rotten with riffs that provoke a feeling of despair and hate, with some influence of Inquisition on the vocals, to finish this commendable work of contemporary raw Black metal, Mordskog delivers a last theme to make us very clear the message they tries to transmit throughout the whole album “Todos Ustedes Deben Morir Esta Noche” which translate as follow “All of you must die Tonight”, some kind of eerie passage good enough to break up any mortal. 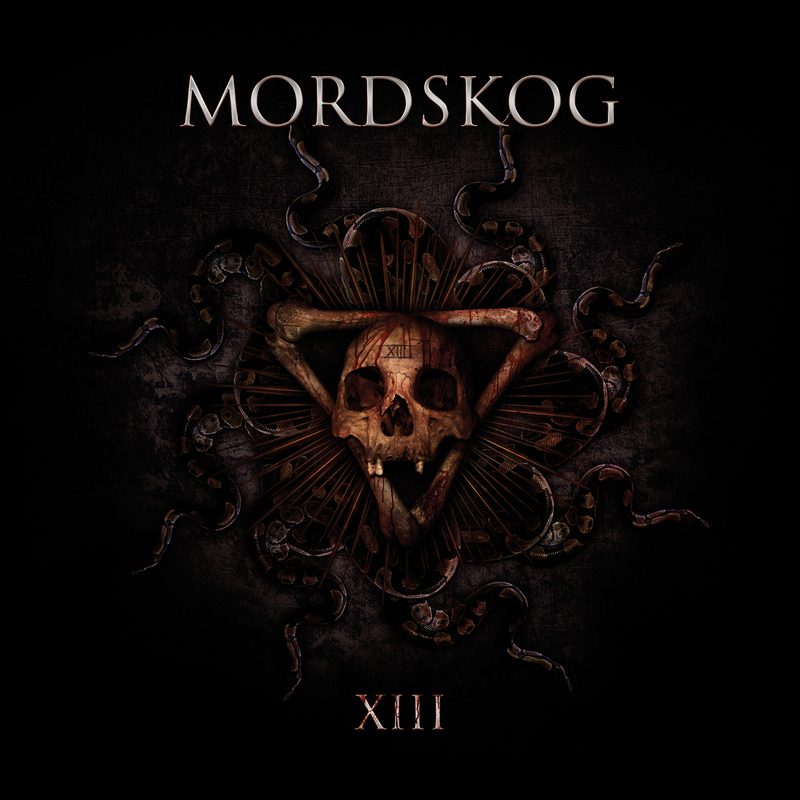 Mordskog completed a great album worthy to spin in your player and explore another great band from around the world, the production is good enough, keeping the essential just to enhance the key parts in the composition, this album will calm down your anxiety for true Black metal without letting you down.